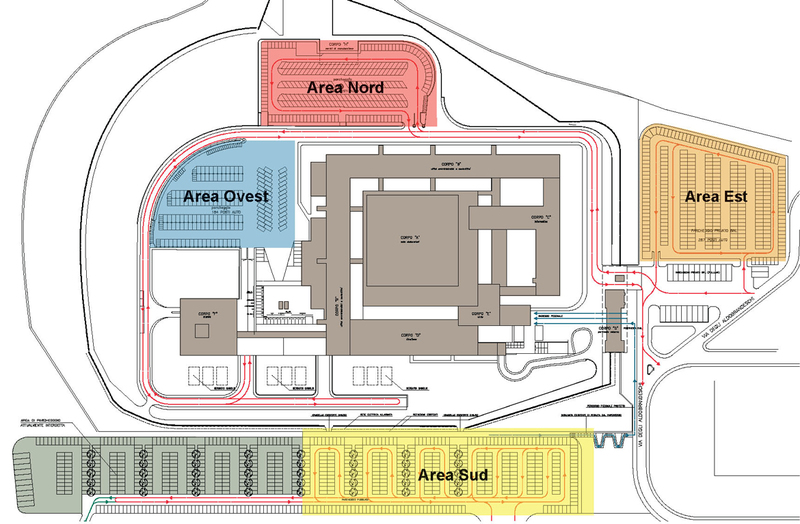 The BNL headquarter is located in the suburbs of Rome and therefore the majority of employees and visitors access the site by private car or scooter. Due to the planned disposal of some BNL offices located in other parts of the city, a considerable number of employees (around 400 BNL and approximately 100 external staff) are expected to be moved to the site by mid-2012. 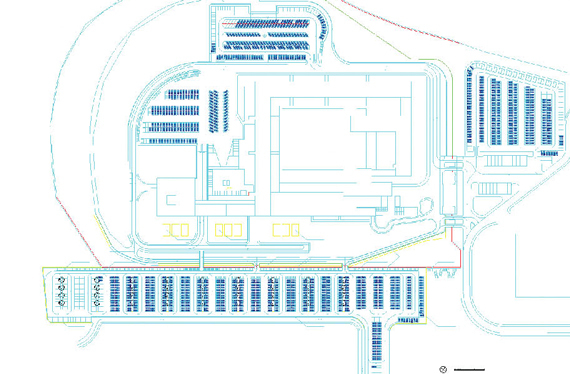 Systematica was appointed to explore several alternative layouts, with the goal of improving the overall efficiency of the at grade parking, sub divided in smaller and independent parking areas. Three scenarios were proposed and tested trough Dynasim, a microsimulation parking platform to assign traffic loads and volumes distribution on the external and internal network. Furthermore, dynamic visualization of internal vehicular traffic is produced to show parking performance, in terms of vehicular flows, including queues at gates, internal aisles and any critical phenomenon caused by imbalanced traffic flow distribution.